I read this article and found it very interesting, thought it might be something for you. The article is called 10 of the world’s most unusual hotels and is located at https://www.ebookers.com/travel-blog/ebookers/life-beyond-hotels/. Travellers feeling blasé about ho-hum accommodations may want to check out these surreal suites that are anything but ordinary. From a treetop cabin designed to resemble an alien spacecraft to a luxe campground where wild leopards prowl, the following boutique hotels are raising the hospitality bar in bizarre, often thrilling ways. For the young at heart who never quite gave up the dream living in a treehouse, this Scandinavian boutique reimagines the classic arboreal abode of your childhood. 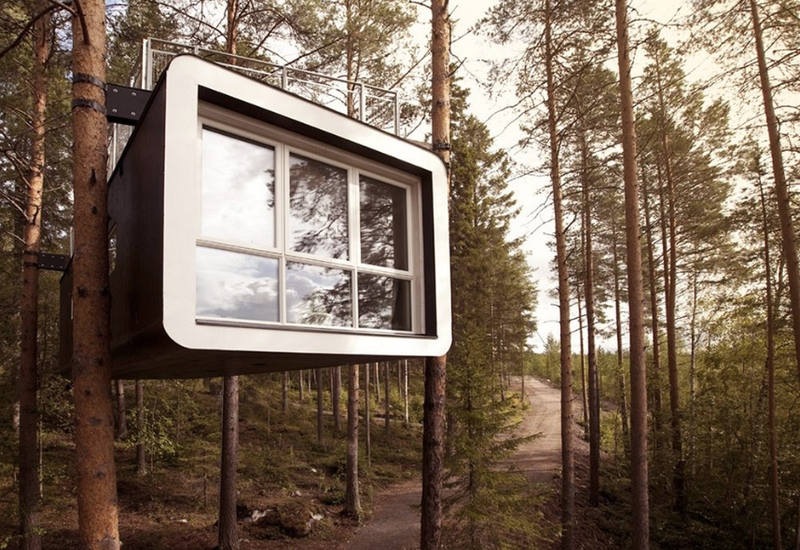 Each of the seven cabins in the woods at the Treehotel boasts a unique design, with options ranging from a UFO to the twig-covered Bird’s Nest to the Mirror Cube, which appears to vanish into the forest thanks to its reflective surfaces. 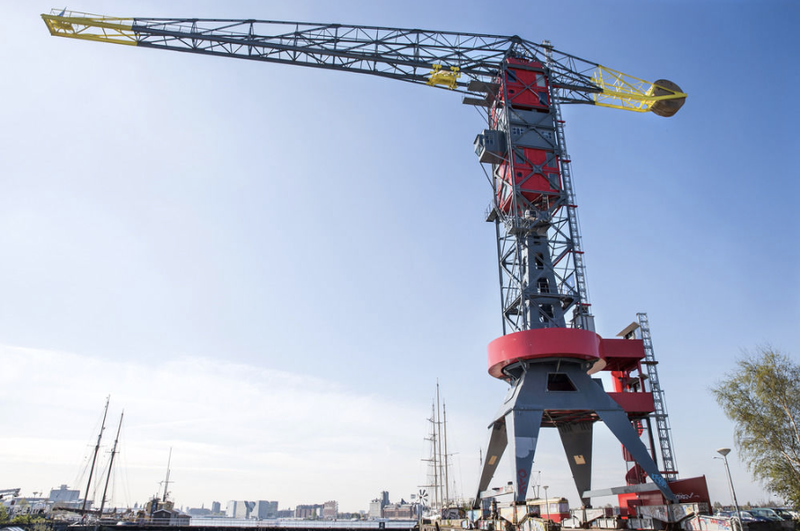 While those with a fear of heights may want to rest their heads elsewhere, DJs, CEOS, and others with an appetite for adventure will love the eccentric Crane Hotel Faralda in Amsterdam’s über hip Noord district. Guests can access the three precariously perched suites at the top of a crane via two glass-encased panorama elevators. 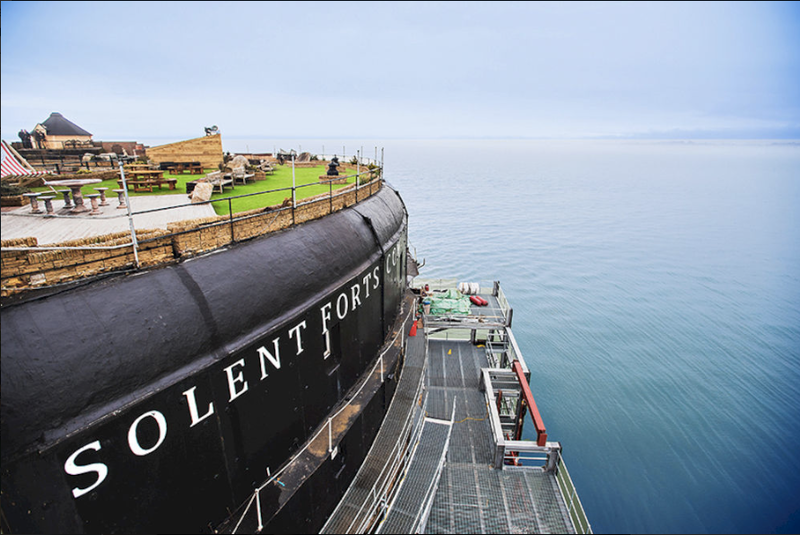 Housed in a historic military base on an island, No Man’s Fort offers guests a quirky blend of history and comfort. After playing an active role in both World War I and World War II, the fort fell into disuse in the 1950s. Guests in the charmingly decorated 23 rooms and suites can take the Fort Discovery Day tour by boat or unwind with a pampering session at the spa. When architects designed this eco-friendly oasis nestled in the Huilo Huilo Biological Reserve, a protected haven in the heart of the Chilean Patagonian Rainforest, they wanted to create a place that would blend with the lush landscape. 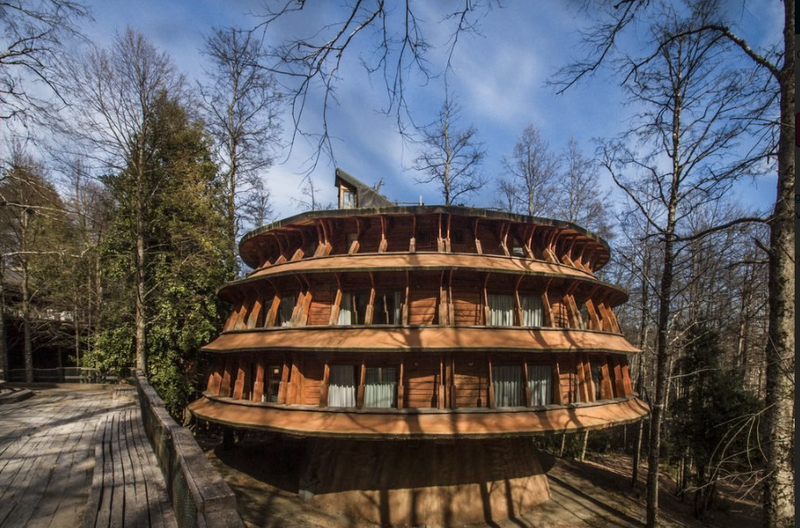 The result was the Huilo Huilo Reino Fungi Lodge, a stylishly rustic hideaway resembling a giant mushroom. This marvel of modern design owes its undulating curves to architect Frank Gehry. 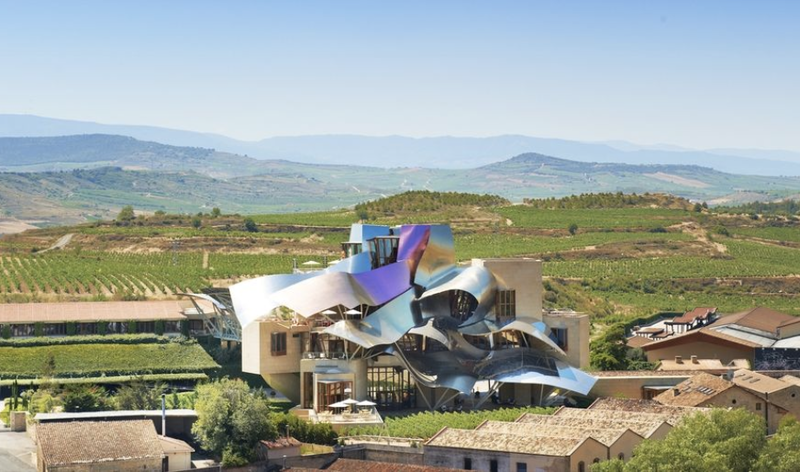 Since it’s located in the City of Wine, Hotel Marqués de Riscal, A Luxury Collection Hotel, Elciego excels at just about everything relating to vino. Guests can indulge in a guided tour of the region’s oldest winery, take a short drive to Europe’s largest wine museum, or sample a bottle from the cellar at 1860 Tradición restaurant. The on-site spa even offers special treatments for oenophiles, including a Crushed Cabernet Scrub, a red wine bath, and a Pulpe Friction massage using the natural exfoliating properties of fresh grapes. 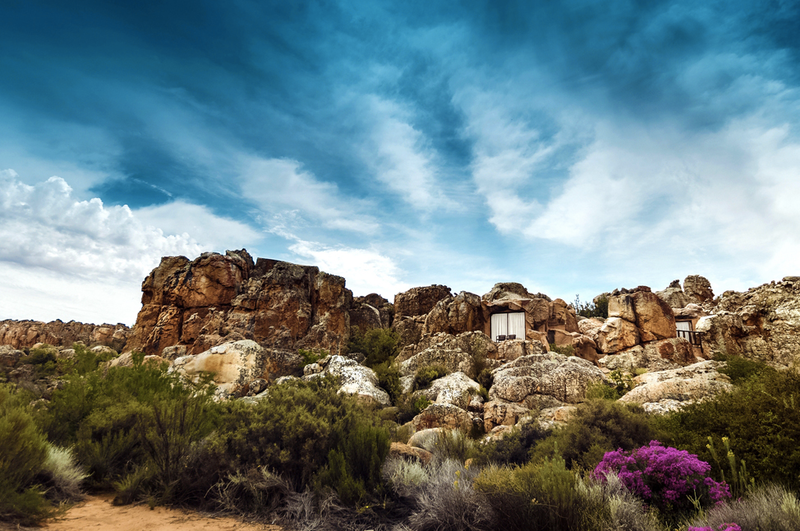 At first glance, the 10 cave suites of the Kagga Kamma Nature Reserve appear to be nothing more than sandstone rock formations in the rugged South African landscape. Fortunately, the accommodations are much more comfortable than their rugged exteriors might suggest. 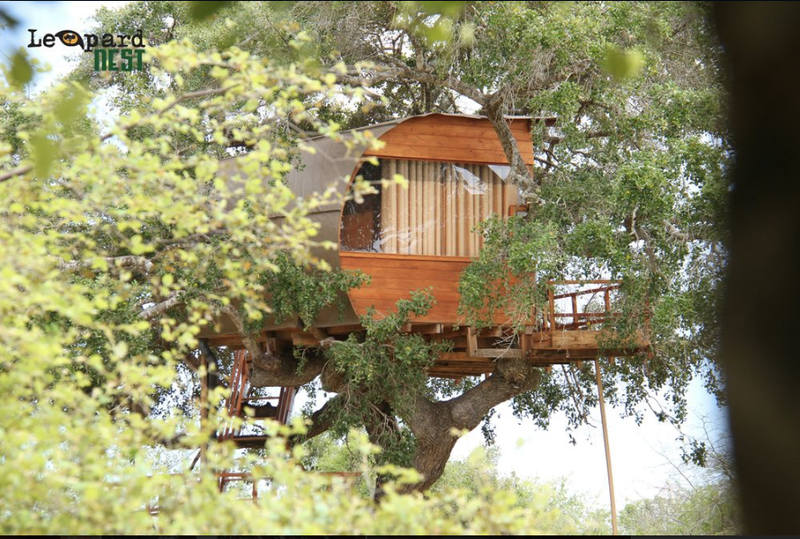 For those who prefer to bask in all that natural glory, guests at the Bushmen Lodge can opt to sleep under the stars. 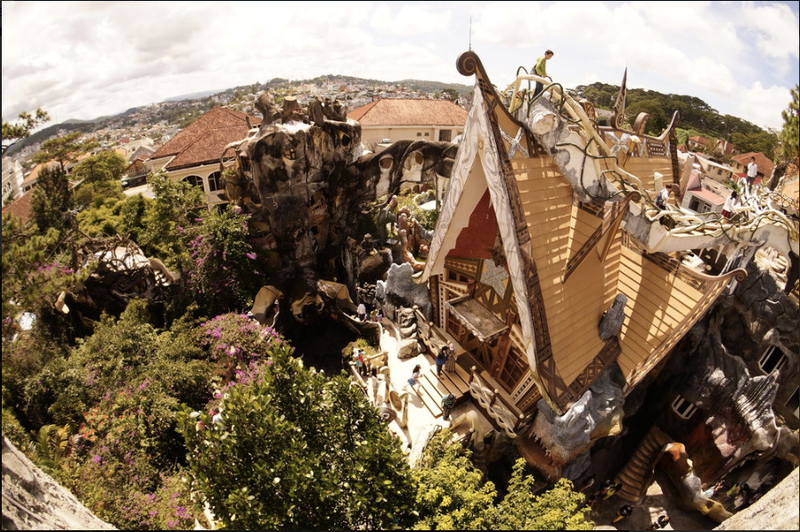 While its official moniker may be the Hằng Nga Guesthouse, just about everyone refers to this backpacker favourite in the highlands of Dalat by its popular nickname. It’s not hard to see why they call it Crazy House—the joint looks like something out of one of Salvador Dalí’s fever dreams. In reality, it comes from the twisted imagination of Vietnamese architect Đặng Việt Nga, who cites the works of Catalan architect Antoni Gaudí as a source of inspiration. Glamping is perfect for jetsetters who want to get up close and personal with nature without all the hassle of pitching tents in the pouring rain or sleeping on rock-hard surfaces. The dwellings at Leopard Nest Luxury Campsite are as pleasantly posh as can be, but still maintain admirable environmental and ethical standards. While the cuisine and the comfy beds are just right, the biggest perks of all are the expert naturalists, who can tell you everything about Yala National Park’s elusive feline inhabitants. 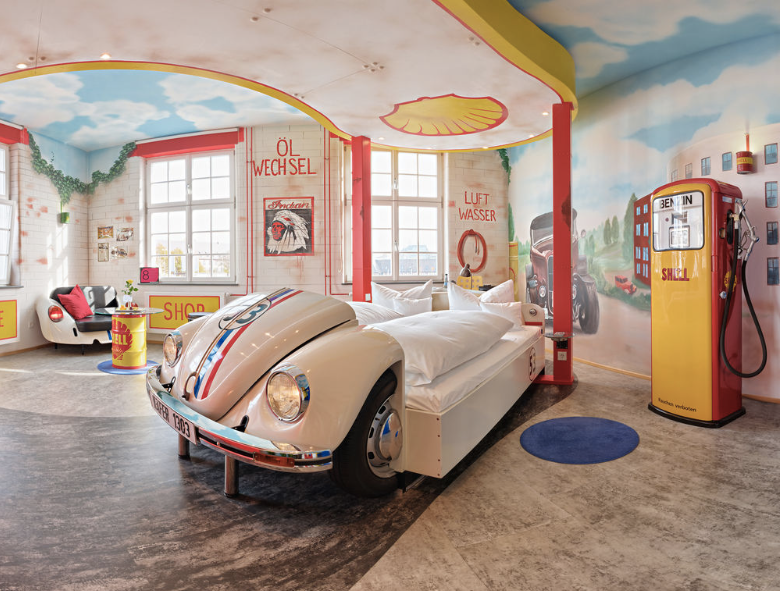 Fans of classic cars will love the kitschy V8 Hotel Classic, in which all of the rooms and suites serve as an homage to German automotive engineering. Decorative touches range from understated black-and-white photos of old-school autos to the V12 Mercedes Suite, in which guests sleep in a modified Benz. 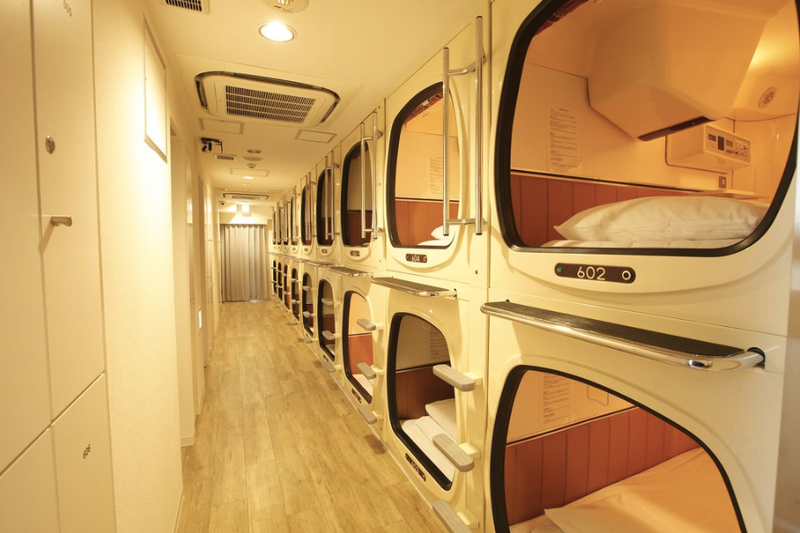 Space is at a premium in the Japanese capital, which is why frugal travellers are swapping out square metres for unbeatable rates at the Capsule Value Kanda. Sure, the 100 windowless cabins here are barely big enough to stretch your legs, but with a prime location 2.1 kilometres from the Imperial Palace, you’re not likely to care.